Sport fishing, kiteboarding, surfing, windsurfing, jeeping, quad riding, hiking, sea kayaking, horseback riding, mountain biking, off road motorcycling, scuba diving, swimming, tennis, yoga and exercise classes, art classes, going to or participating in our arts fairs, whale watching, going to or participating in our local plays and on and on and on. Some people say they wouldn’t have enough time for a job on the East Cape even if they wanted one. They say there aren’t enough hours in a day as it is to do everything they want to do. Then there are some people who say that it is so easy to meet people here because everyone is so laid back. Los Barriles and East Cape in Baja is a place where people choose to do as much or as little as they want to. Would you like to have a home somewhere where there is world class fishing, windsurfing, kiteboarding and mountain biking but also just laid back walking on the beach in a friendly atmosphere? Would you like to be in a small community where the people know each other because they have probably met at a party, a play, a cardgame, an exercise class, or an arts festival? Then the Los Barriles (one hour and a half north of Cabo on the Sea of Cortez) and the East Cape of Baja is what you are looking for. Have you heard about the story about the Mexican fisherman and the American businessman? The fisherman said “I take a siesta with my wife Maria, play with my kids, stroll into the village each evening, sip wine and play guitar with my amigos. I have a full and busy life senor.” The American gave a slightly disapproving look and said “I’m a Harvard MBA and could help you out if you would like. You should spend more time fishing, then with the proceeds buy a bigger boat. Then with the proceeds from the bigger boat, you could buy several more boats. Eventually, you would have a fleet of fishing boats. Instead of selling your catch to a middleman, you would sell directly to the processor, eventually opening your own cannery. You would control the product, processing and distribution. You would travel about six to eight months a year to places like Mexico city and the New York in the United States. Yes, of course there is a point to the story. We all must find the balance of work, play and relaxation that works for us in our life. Do you prefer to live far from the mega hotels, loud clubs and crowded highways? 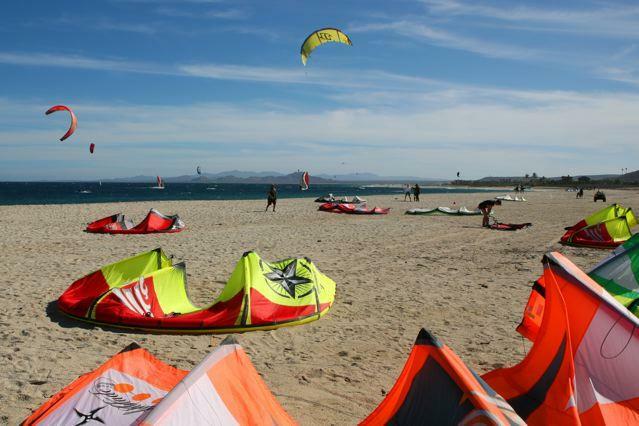 Do you like great fishing, windsurfing, walking on the beach and a friendly atmosphere? 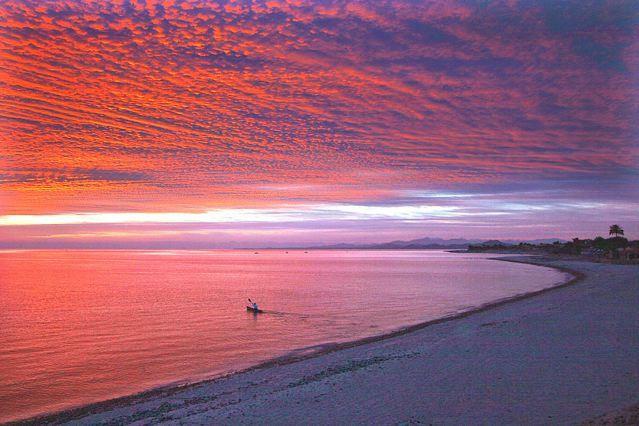 Then the East Cape of Baja is what you are looking for!